This painting by Norman Rockwell captures the spirit of fall. 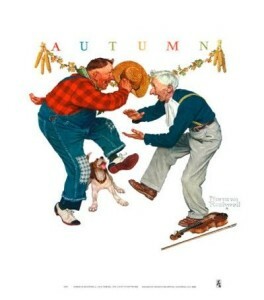 Complete with flannel, leaves, and good music, this moment is made by two old friends dancing away and not caring how ridiculous they look. They’re just having a good time! What’s your favorite way to celebrate fall?